African Pet Meat Trade – Africa Exposed. 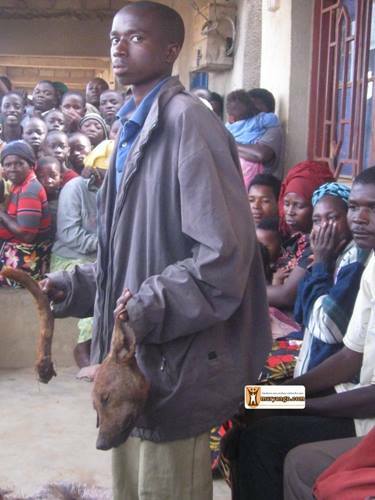 Selling dog meat has since been prohibited in Lubumbashi since Saturday, February 8 2014 within the DRC (Democratic Republic of Congo). The provincial Minister of Environment and Conservation Katanga Audax Sompwe announced the measure during a meeting with the mayor and the mayors of all municipalities. To our shock dog meat abattoirs have been uncovered all over west, north and east Africa. Had awareness campaigns not been practiced dog and cat meat would still be a staple diet for many in the DRC for instance. WE are monitoring the situation within western Africa however an area that is considered extremely volatile a cautious approach has to be taken at all times even when reporting to displaying photographic and video evidence. The last thing we wish to increase is civil disturbance within communities or place life in jeopardy. The Minister asked the mayors to close all illegal dog abattoirs, and to track those who steal and farm people’s pets to eat and sell these animals. Audax Sompwe says that consumption of dog meat has been seen at “worrying proportions” in the city of Lubumbashi. According to him, “we are witnessing the last time in Lubumbashi slaughter of the pet at a breakneck pace.” We at International Animal Rescue Foundation Africa are keeping an open mind though with regards to policing and pet slaughter houses being closed down. As yet no substantial evidence has been seen of such markets and slaughter houses being closed down or the arrests of vendors. The provincial Minister of the Environment is satisfied with laws apparently implemented that dogs should be protected like any other animal. “The dog is still a human companion, an animal that had been used to take hunting,” he says to justify its prohibition. It also evokes the unhygienic conditions in which the meat is prepared. 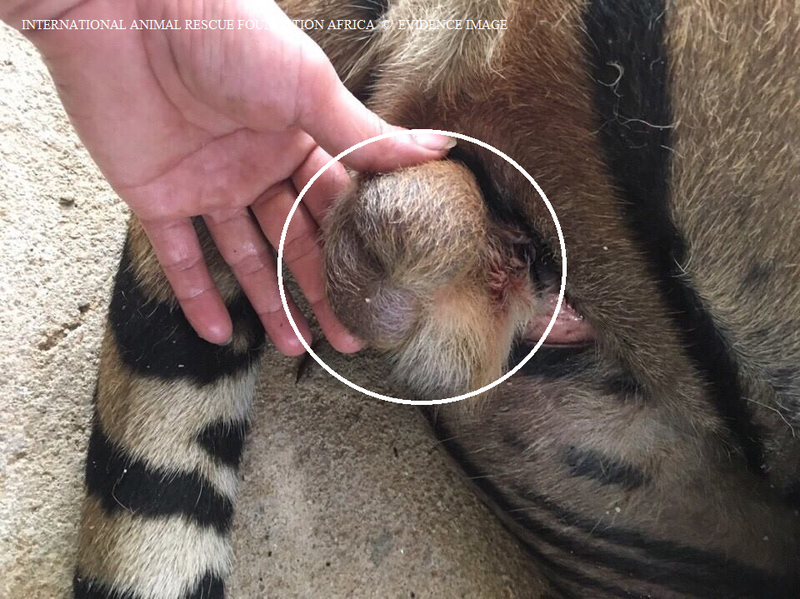 Last week International Animal Rescue Foundation Africa included an article within Environmental News and Media of which documentation was shown on the possible relation to dog meat and the current increasing Ebola virus. Evidence clearly showed that there is plausible belief that consumption of infected dog meat within western, northern, and east Africa has been to blame for the increase of victims that had contracted Ebola. Dogs are rarely cared for within these regions of Africa that forage for food mostly consuming dead animal carcasses that have/could be infested with Ebola. Furthermore hunting with dogs a common practice within central, north, west and eastern Africa has also shown to be a disease risk to villagers. Dogs that are used to hunt bring back an array of infectious diseases of which Ebola was noted. 2011 saw dog meat back on the menu within the country Democratic Republic of Congo of which rising food prices mainly beef, and lack of sufficient staple dietary incomes had been quite a concern for many a people. International Animal Rescue Foundation Africa and an African and Australasian registered organisation Say No To Dog Meat.Net have been increasing awareness of such issues in the region however are somewhat sceptical that the dog meat trade will simply vanish. Only yesterday did International Animal Rescue Foundation Africa report on climate change destructions that have been predicted to increase by 2020 -2100 that could spell a more vicious wave of pet consumption within the DRC and countries such as Liberia, Sierra Leone, Nigeria, Ghana, Angola and even South Africa should climate concerns not be addressed now. 2011 Dog meat was very expensive on the market. Its price varied between 4 and 8 euros per kilo, it is therefore impossible to buy every day,” explains Odette Nyabadeux, an inhabitant of the Nyabushongo neighbourhood. 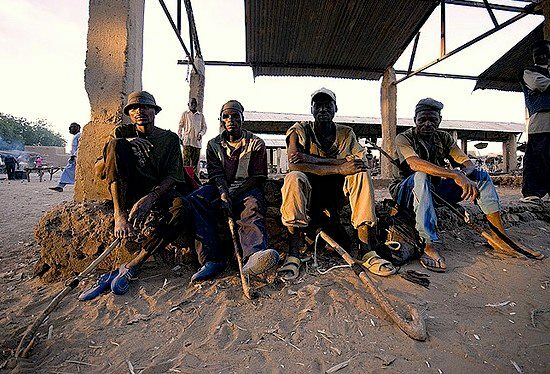 The financial crisis, which is affecting numerous countries in the Great Lakes region, has also severely affected the economic life of the Congolese population. Indeed, it forces people to look for alternative ways of surviving. International Animal Rescue Foundation Africa and a non-related registered non-charitable organisation are optimistic that dog meat “consumption” will cease. Dog meat farms and private traders may be hit on the head and reduced however the actual “cultural” practice and the taste of dog meat has somewhat increased peoples want for more which raises concerns with regards to infectious disease and illness. According to the statements of those who consume dog meat today, it doesn’t appear to have any harmful effects on the health of the population. “Today, I eat dog without a problem. Its meat likes any other kind and besides it is delicious,” confirms Odette Nyabadeux. For now we will be as explained monitoring the situation within the Democratic Republic of Congo to see if any such trade in dog meat is actually banned and that of dog meat abattoirs are closed down. Working closely with the provincial Environmental Ministries and local police food and health agencies within known dog meat consumption areas we will update soon. Moving on to Liberia we were extremely shocked to see such a vast dog meat trade within the country. Unlike Nigeria where dog meat is only consumed in areas of Jos and Lagos, in Liberia dog and cat meat is consumed all over the country. Some 4.9 million people (statistics 2012) actually consume their pets. Furthermore Ebola has been linked to the consumption of pet trade. We recently contacted an animal welfare organisation within western Africa that has spoken outright on the pet trade within Liberia. For now based on intelligence reports we are keeping the organisation and individuals name strictly private. The reasons for confidentially is because Liberia is an extremely volatile and poor country of which pet trade is a staple income for many Liberians. Money is scarce and for now we do not wish to endanger individuals that wish to publically speak out on such trade that could place human life in danger, least forgetting hampering awareness and education projects too. Please view the interview below for your information. ENM – How long have you been advocating for animals and what encouraged you to take such positive actions against environmental abuse and the Liberian dog and cat meat trade? Liberian Anti Pet Trade – First of all, I was born, grew up and live in a society or environment where animals are treated as commodities. Dogs are very helpful in sustaining lots of families at the rural level in Liberia. Dogs serve as source of income for lots of rural inhabitants- they hunt. 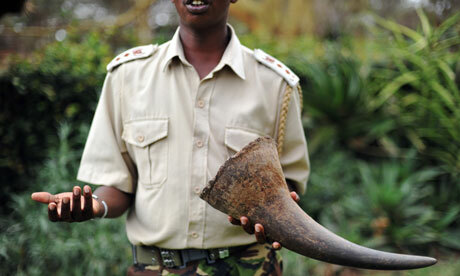 These animals serve their owners with loyalty but are treated as commodities. 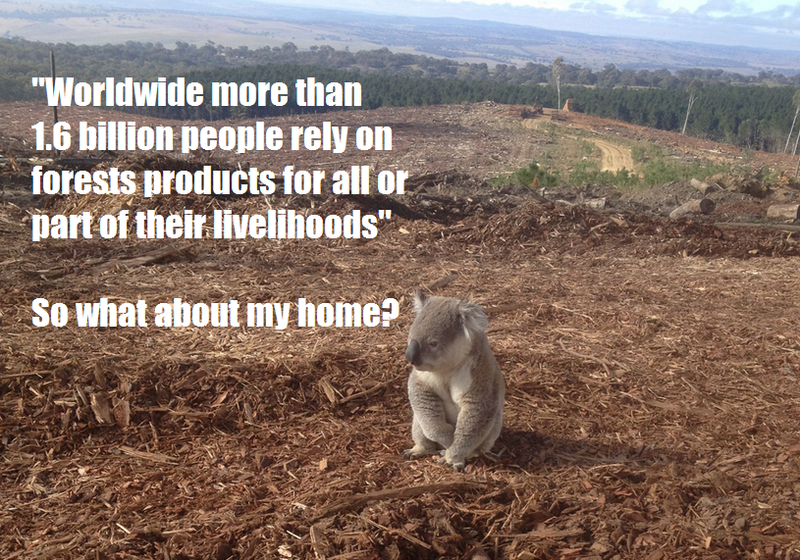 Their lives are not respected and their meaningful contributions to sustaining lots of families are not considered. 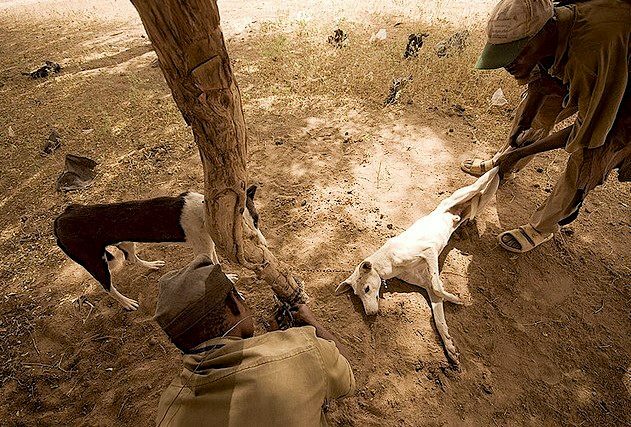 When these animals are unable to perform their duty or when their owners need money, the dogs suffer as the result. They are either sold alive or killed and prepared as commonly called “ISSUE“ and sold in the community. Growing up in a society where animals’ lives are meaningless, I said to myself, these animals deserve better lives. We need to stop the horrific and barbaric acts and replicate the love and loyalty these animals continue to show us even the point when we are killing them. 2007, I started to create the awareness and discouraging people especially the younger generations who are future decision makers to say NO to dog and cat meat. My team and I continue to visit communities and schools campaigning against eating these animals and challenging their beliefs about dog meat. 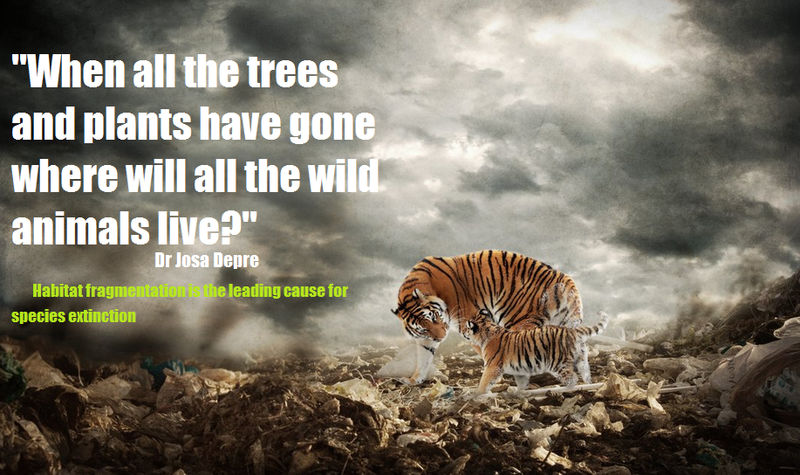 The campaign is embedded with environmental protection awareness. We all benefit from a society that protects its environment. ENM – Recently we have been exposing to the public the pet meat consumption trade within Africa of which many people are still unaware actually exists. How bad is the dog meat trade within Liberia and where are dogs and cats coming from? As you may or may not know within Nigeria smugglers traffic dogs and cats over the border from Cameroon, Niger, Chad and Benin. Is there any evidence that smugglers are active within Liberia? Communities lots of people own dog(s). They usually sell some of their dogs or puppies to others. Dog snatching is common in big cities and towns like Monrovia. It rarely happens in rural communities. People who sell or eat dog meat in the rural communities own them. ENM – How many dogs and cats on average are killed for the pet meat trade within Liberia? And on average how many market stalls are there within Liberia that sell dog and cat meat? Liberian Anti Pet Trade – Our campaign has been on the local level. We have not done a survey to determine the rate of consumption in the country. We do not have specific markets in Liberia for dog meat. It is done in local communities. Recently, I was told that there is a place in Monrovia where dog meat is always available but I have not done follow up on this so I cannot conclude that it is true or not. ENM – We recently republished an article on our main animal welfare and environmental rescue site of which we detailed dog farms within Namibia. On knowing that such a trade within Liberia is active and not illegal is there evidence that shows dog and/or cat meat farming to keep up with the trade? For example within Korea and China there are many dog and cat meat farms that are similar to that of cattle farms. If there are any farms within Liberia where exactly are these farms located, or is it more a case that communities will farm locally their own dogs and cats then sell on to the public? knowledge there is no established farm in Liberia for dog or cat meat. We have not identified such an area in the country even though we are just in one part of the country. ENM – How long has the dog and cat meat trade been active within Liberia and have you noticed an increase within the pet consumption trade? If so when did the increase in trade occur and why do you think the pet consumption trade increase occurred for? Liberian Anti Pet Trade – It is a long time societal practice. It is normally done, and on big occasion days, the consumption can increase in rural areas. ENM – Climate change and civil war within Northern Africa, Central Africa and Western Africa has been linked to an increase in wildlife depletion, habitat fragmentation and extinctions of flora and fauna. We know from experience that within the majority of these African states where climate change and civil war has been increasing or is still active that this has increased food shortages. Do you agree a food shortage have increased the dog meat trade or is entirely responsible for pet meat consumption? Liberian Anti Pet Trade – That may be true in other country, but in Liberia dog meat eating is not based on food shortage, even though food shortage is a problem in Liberia. It is normally done; it was done before the war and after the war. It has nothing to do with food shortage. ENM – Is there any specific dog or cat species that is consumed within Liberia and if so what species of dog or cat, or is it just a case that any dog or cat is killed then consumed? For instance do consumers eat a specific breed and if they do why do they eat this certain breed of dog or cat for? Liberian Anti Pet Trade – As long it is a dog, the eaters will eat it. The dogs eaten here are locally raised. ENM – Within South Korea, and China dog and cat meat is consumed for medicinal reasons of which has never been medically proven. Do Liberians consume dog and cat meat for medicinal reasons and if so what medical benefits do they believe they will obtain from eating dog and cat meat? Liberian Anti Pet Trade – People who eat dog meat in Liberia, when ask they will say it protects them and gives them authority when they are speaking in public. Some also say that dog meat is sweeter than the other meat. ENM – From 2005-2013 there have reports of Africans citizens falling ill after consuming dog and cat meat. In some extreme cases people have actually died from consuming infested dog and cat meat. Have there been any cases of any such illness occurring after eating dog and cat meat in Liberia? And do you know of any prognosis of any consumer that fell ill after consuming dog or cat meat? Liberian Anti Pet Trade – Perhaps, but it has not been recorded in Liberia. ENM – Rabies, SAR’s, food poisonings and a potential mutation of any H1N1 virus are our major concerns within the dog and cat meat trade both within Asia and Africa. To your knowledge has there been any rabies or SAR’s cases increasing within areas of Liberia where dog and cat meat is consumed? Furthermore is there any evidence of food poisonings occurring within the dog and cat meat consumer market? If there is any evidence of food poisonings what to your knowledge were the culprit viruses that made consumers ill for example, E-coli, Campylobacter enteritis, Listeria, Staphylococcus, Salmonella or the highly contagious Gastroenteritis? Liberian Anti Pet Trade – Dogs suffered from rabies in Liberia and we have been educating people about rabies and the preventive measures. People always ask us if their dog(s) died of rabies whether they can eat it, we continue to tell them“ NO“- they should bury the dog(s). We have not come across a case of food poisoning occurring within dog and cat meat consumer market. ENM – Would you agree Liberian traders that sell dog and cat meat are also using the money made from this trade to fund the purchase of firearms, narcotics, to fund human trafficking, or poaching within other Africans states or is it correct to state that traders are simply killing and selling domestic animals to support their own families? 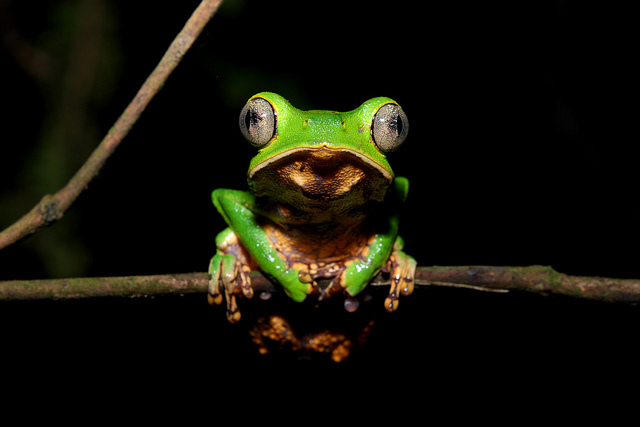 Liberian Anti Pet Trade – It is mainly for sustainability. They are simply killing and selling domestic animals to support their own families. It is not an organized trade. ENM – Liberia hosts a fairly small population of wildlife species, would it be correct to state that with such a small wildlife population status of any species that dog and cat meat is being used as a substitute for the bush meat trade? Liberian Anti Pet Trade – That is not the case. People who eat dog meat do not eat it because there is no other meat; they eat dog meat because of their own beliefs that dog meat has some medical and supernatural power. Some people say that dog meat is sweeter than other meat. It is used as a substitute for the bush meat trade. ENM – What age groups mainly consume dog and cat meat or is the consumer trade more identical to that of Asia of which mainly men will consume dog and cat meat? Liberian Anti Pet Trade – The consumption rate is mainly among men. Cat meat is rarely eaten. Very few people eat cat. It is not sold in the market. ENM – What are your major concerns with regards to the Liberian dog and cat meat trade and do you propose the trade be addressed to cease such animal cruelty? Liberian Anti Pet Trade – It is a cruel act. We need to address the issue. People need to show their innate love and compassion for these loyal animals. As the result of these cruel acts done to animals, children grow up accepting the idea that animals are to be exploited and used for own ends, denying that animals have their own feelings, emotions, individual personalities and family relationships. ENM – Do you believe that a “regulated trade” would be beneficial to reduce animal cruelty increasing animal welfare? A regulated trade is basically a trade that is recognised by the government, controlled and reduces the risk of abuse and illness. Liberian Anti Pet Trade – I believe that the trade should be totally eradicated. 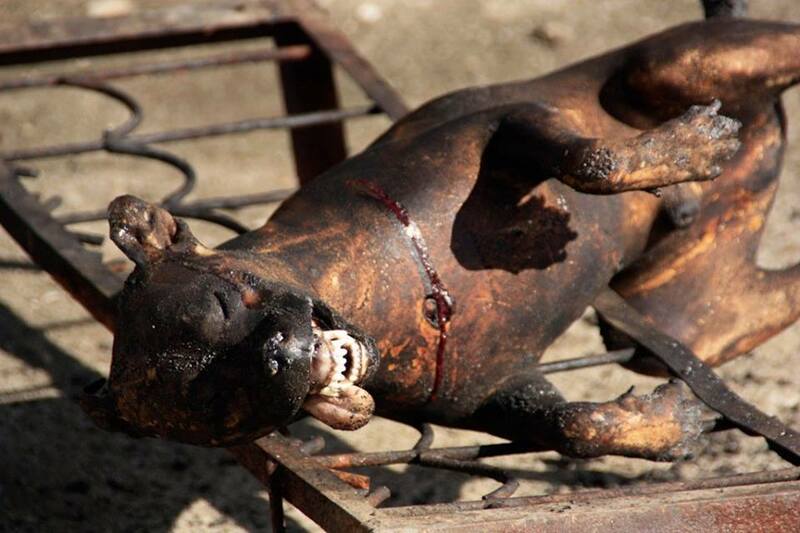 ENM – Within Asian dog and cat meat consumer nation’s dog and cats are killed in the most grotesque manner. 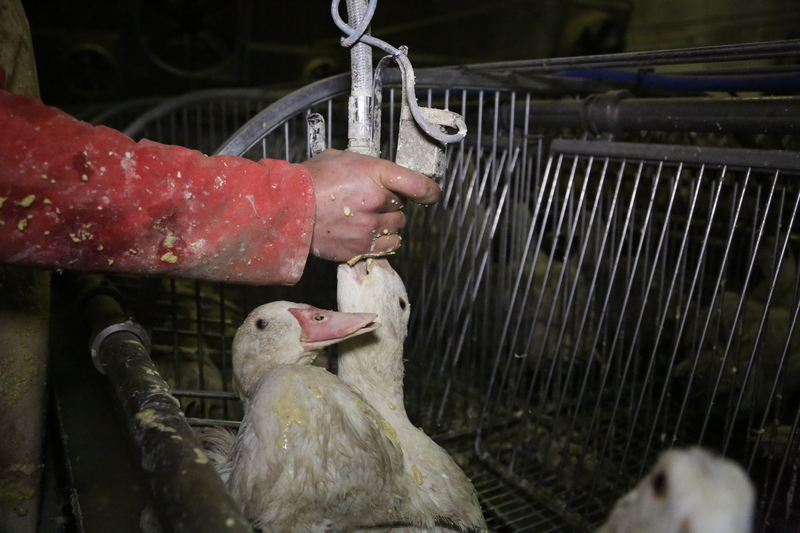 Beaten and tortured to death to provide a tougher meat that is strong tasting. It’s believed that consuming such a tough and strong tasting meat makes you more strong and fit. Are dogs and cats tortured in the same manner within Liberia or are they simply just slaughtered outright. How do the slaughterers kill the animals and is it mainly men or women that kill the animals? Liberian Anti Pet Trade – Dogs are killed by beating and strangling. (ENM is awaiting further literature with regards to this question which is of importance). ENM – Liberia hosts some 12.2% strict Muslim citizens however under strict Islamic law it clearly states that dog meat is strictly forbidden and killing such an animal cruelly is also seen as a violation of strict Islamic law. To your knowledge are there any Muslims within Liberia that consume dog meat and what are your thoughts on this and any potential religious violation? Liberian Anti Pet Trade – Throughout out campaign awareness, we have not seen people in the Muslim community eating dog meat. Some of them do not even raise dog. The law is good. It shows compassion for other creatures that share this planet with us. ENM – During the 2001-2002 Ebola outbreaks in Gabon, it was observed that several dogs were highly exposed to Ebola virus by eating infected dead animals. To examine whether these animals became infected with Ebola virus, scientists sampled 439 dogs and screened them by Ebola virus-specific immunoglobulin (Ig) G assay, antigen detection, and viral polymerase chain reaction amplification. Seven (8.9%) of 79 samples from the 2 main towns, 15 (15.2%) of 99 samples from Mekambo, and 40 (25.2%) of 159 samples from villages in the Ebola virus-epidemic area had detectable Ebola virus-IgG, compared to only 2 (2%) of 102 samples from France. Among dogs from villages with both infected animal carcasses and human cases, seroprevalence was 31.8%. A significant positive direct association existed between seroprevalence and the distances to the Ebola virus-epidemic area. This study suggests that dogs can be infected by Ebola virus and that the putative infection is asymptomatic. On the (02.04.2014) it was announced that four Liberians had died from contracting Ebola virus. What are your thoughts on this and has the Ebola scare with deaths rapidly occurring over Africa had a profound effect within the trade of dog and cat meat? Furthermore do Liberians actually know that consuming dogs that have been exposed to Ebola or dogs that have consumed dead infested Ebola wildlife species can actually die or become seriously ill? More worryingly would you agree that Ebola infested dog meat has been responsible for the deaths of many Africans outside of Liberia and within Liberia. I ask this questions because the areas from which Ebola has been seen, are areas within Africa where dog and cat meat is consumed on a wide scale? Liberian Anti Pet Trade – Liberians have not been informed that this may expose them to the virus. 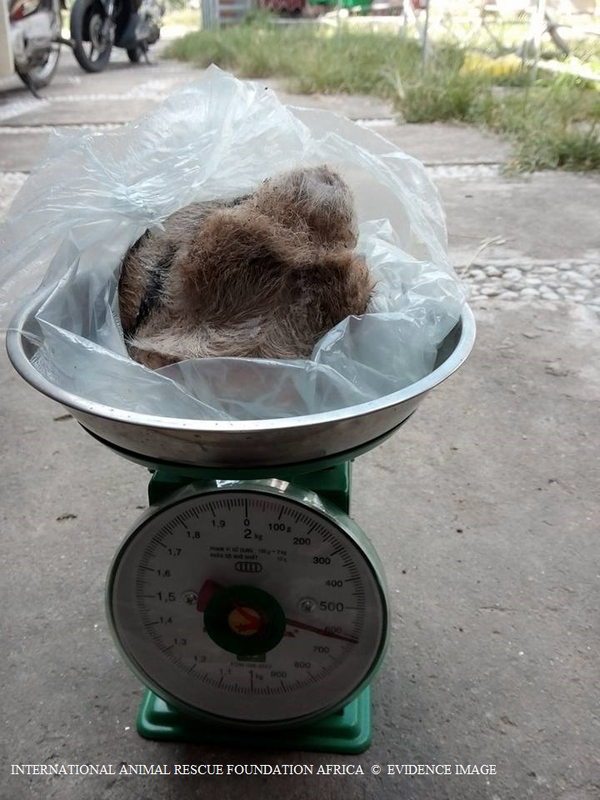 The government has been placing more emphasis on bushmeat. I personally believe that eating animals that have eaten infected meat pose serious health concern. For now, people who have died of the virus caught it from close relatives. But the possibility of people dying as result of eating infected dog meat is high if people are not educated about it sooner. ENM – When I spoke to you last you stated that dogs and cats that are eaten are mainly pets. However the Liberian pet trade is quite large. Would you agree that stray dogs and cats are also caught and killed for trade? If strays are killed and eaten then would you agree that there is an extremely high risk of stray dogs and cats that have come into contact with Ebola wildlife now posing a serious viral risk to life within Western Africa and the majority of some 3.7 million Liberians? Liberian Anti Pet Trade – The Liberian Health Ministry continues to warn the population to stop eating bush meat- which is considered in Liberia as the main ingredient in food preparation. According to the ministry, these wild animals may be infected with the virus before killing them, so eating bush meat for now may pose risk of the Ebola virus. Most of the stray dogs and cats also eat other animals. These animals may be infected with the virus, so eating the dog and cat meat may pose high risk of people eating them. I do not want to limit it to stray dogs and cats, in the rural communities, people keep dogs for hunting and these dogs also eat other animals in the bush, eating dog and cat meat as a whole pose serious health concern. ENM – What work have you undertaken to educate the public and those that trade dog and cat meat within Liberia? I have noticed you seem rather active within animal welfare of which you have encouraged many people to join in. Are you making a difference though? Liberian Anti Pet Trade – We have been educating the population and discouraging people from eating dog meat. We placed more focus on the younger generation to change the negative conception and beliefs they have learnt from the adult concerning dog meat. The children also serve as animal ambassadors in their various communities in disseminating the information to the wider society. Our intervention is making a difference gradually but slow. There are people we met and discussed with them, after the discussion, they admitted of eating dog meat but vowed to stop eating dog meat. ENM – My final question, in what areas of Liberia is the dog and cat meat trade most active? Liberian Anti Pet Trade – I want to say yes because it is normally done here. Even though we do not have an established market where people go and buy dog meat. It is locally done in communities. Thank you, Mr Darbo for taking the time to answer my questions. For security and because of the content of this article we have replaced the West African DMT organisation name with Liberian Anti Pet Trade. Dog meat trade in Africa poses a serious health risk full stop. Research and intelligence from our ground team indicates two prominent areas where International Animal Rescue Foundations Europe unit and its unrelated non-charitable organisation Say No To Dog Meat.Net will be working within to decrease rabies and infectious disease and to halt the dog meat trade. Meanwhile in Nigeria a report stated ten cases of rabies in subjects aged 3 to 52 years were recorded in these five months period from 2012. Eight of the cases were male and apparently got infected directly or indirectly through the trade in stray dogs for human consumption. None had proper PEP and all patients died. This is unfortunately the sad reality of dog and cat meat trade within both Africa and Asia. Africa though poses a significantly higher risk than Asia due to lack of awareness, medicine and community outreach support. Rabies is a preventable viral disease of mammals most often transmitted through the bite of a rabid animal. In the past, human rabies usually resulted from a dog bite, but recently, more cases of human rabies have been linked to bats, cats and raccoons. In the developing world, dog bites are still the commonest cause of rabies. Rabies is universal. According to WHO report in 2006, more than 3.3 billion people are at risk for rabies in over 85 countries worldwide. About 55 000 deaths from rabies are estimated to occur every year, 99% of which are the consequence of dog bites. Of these 31 000 are estimated to occur in Asia (20 000 in India alone) and 24 000 in Africa. Universally no disease exceeds the case fatality rate of rabies. Progress must continue towards the elimination of human rabies. In countries where rabies is endemic, stray dogs account for more than 90% of human rabies exposures, especially among 5-14 years old children in rural or peri-urban areas. 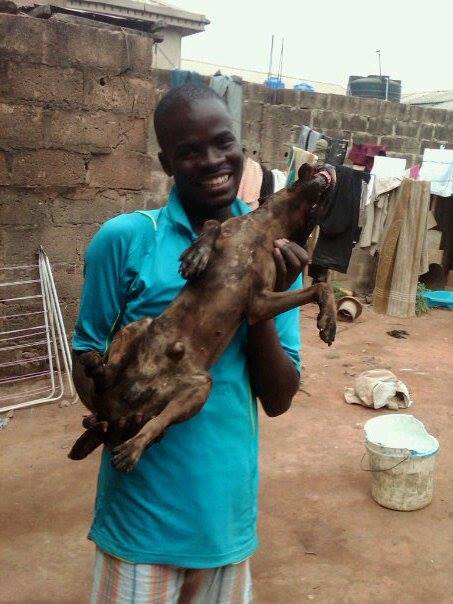 In parts of southern Nigerian, dog meat is a widely consumed delicacy. In recent times we have recorded a number of cases of rabies associated with bites and scratches from such dogs bought for consumption. The purpose of this report is to highlight the transportation and wide consumption of stray dogs in southern Nigeria as a risk factor for rabies and cruelty to animals; and alert the authorities on the need for the control of this trade and threat to human life. The subjects were children and adults admitted to the University of Calabar Teaching Hospital (UCTH), Calabar with a clinical diagnosis of rabies. The hospital serves as a referral centre for the whole of Cross River State, in southern Nigeria. Cross River State has a population of 2.9 million. The demographic data of the patients; parents’ occupation, health seeking behaviour of the patients / parents, the clinical features at presentation, modalities of treatment before presentation, nature of attacks, and immunization status of the dogs and the outcome of the patients were documented. Through careful history, the sources of the infections were determined. Focus group interviews of the participants in the stray dog trade was also conducted to determine the sources of the dogs and their handling. Each patient was treated with intravenous alimentation, sedation and other supportive measures. Table 1 (pic below) shows a summary of the features of the ten cases of rabies seen in the UCTH between July and October 2012. Focus group interviews of persons involved in the trade revealed that such dogs are usually stray dogs captured in northern Nigeria mainly Adamawa, Bauchi and Plateau states and transported in large numbers in trucks to the south for consumption. Ones are selected for domestication. These ones often go into fights with the local ones. Others are tied and killed with blows to the head, before being roasted and prepared for eating. Serial number 1 was bitten by a domesticated dog which suddenly turned violent and was immediately killed and eaten. The father of serial number 3 is a dealer in stray dogs and dog meat and the child was bitten by one of the stray dogs meant for sale. The others were earlier bitten by domesticated dogs which had earlier had fights with stray dogs (serial nos. 2,3, 7 and 8). Serial number 6 was bitten by an unidentified stray dog while serial number 9 and 10 were bitten by stray dogs meant for sale. Almost all the victims either first presented to chemists shop or to no health facility at all. One first presented to a traditional medicine man. None had post exposure prophylaxis. The dealers in dog business seem to be aware of rabies and claimed to have an organ within the dog’s abdomen which when eaten, serves as prophylaxis against rabies. They insisted this was a trade secret which could not be revealed. The traders take measures to circumvent veterinary checks on the way during the transportation of the dogs. Such animals usually arrive from the long distance journey un-fed, exhausted and irritable. Rabies is universal with almost uniform mortality. Recently survival rate of 8% has been claimed in the United States. The ten cases of rabies reported within five months in a referral centre which serves a population of only 2.9 million is an epidemic and may represent a tip of the iceberg. The major risk factor for rabies in this series was the widespread trade of stray dogs fuelled by consumption of dog meat as a delicacy. All of the dogs meant for consumption are usually strayed, apparently unimmunized, posing a threat to those involved in the trade. The states in Nigeria from where these dogs are captured are known to be endemic for rabies from dog bites. 11,12 Rabies could easily have entered the food chain in Cross River State from these sources. The prophylaxis claimed by the dealers is obviously spurious. Since this trade is usually carried out within or near living quarters, children are also exposed. The preponderance of males in this study may be a reflection of the fact that the trade is carried out almost exclusively by males. Male children are also more adventurous and therefore more likely to encounter these animals. The study also observed poor health seeking behaviour in all the subjects. Six of the ten cases reported did not present to any health care facility following the bites, while the other four visited patent medicine stores and drug vendors for first aid. Post exposure prophylaxis with anti-rabies vaccine is the major preventive measure against rabies following a bite by a rabid animal. Trade in stray dogs, fuelled by consumption of dog meat as a delicacy, is a major risk factor for exposure to rabies in our environment. Poor health seeking behaviour and inappropriate post-exposure prophylaxis lead to clinical disease which is uniformly fatal. 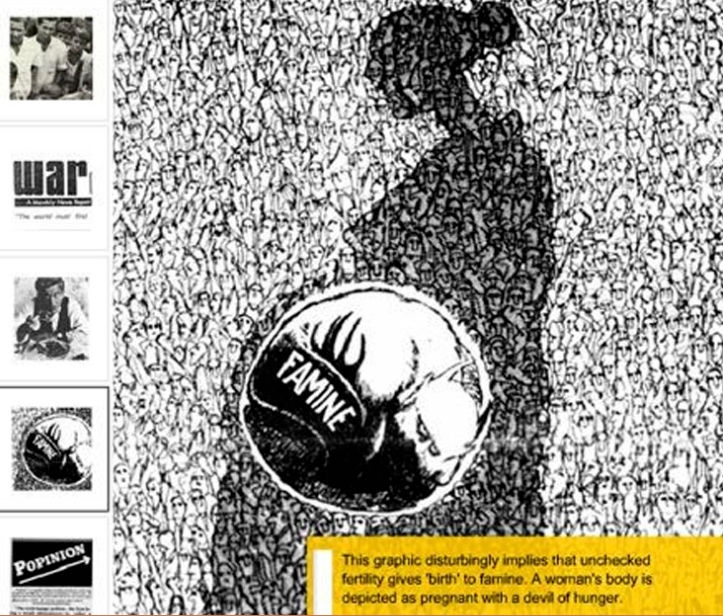 This entry was posted on April 16, 2014 by speakupforthevoiceless. It was filed under You must be the change you want to see in the world .